That’s one thing 100-Pound Club member Dawn Bartolini wants everyone to know. After giving birth to her son, she was focusing on her children and her family restaurant and not prioritizing her health. Weight kept piling on, and Dawn tried to manage it by starting new weight loss programs almost weekly. Nothing ever gave her the results she desired. One day, Dawn’s son took a picture of her sitting in the hallway at his school, where she volunteered. “This picture did not look like a picture of health, at all,” she said. It was seeing that picture that spurred her to change. Around the same time, Dawn saw a post about weight loss from a friend on social media. She reached out to her friend asking about the weight loss program she was referring to and was instantly intrigued. Dawn learned about Isagenix, the products, the systems, and then she joined Isagenix soon after. As she began to incorporate the products into her daily nutrition, Dawn noticed the numbers on the scale decreasing. Motivated by her weight loss, Dawn forged ahead. “I knew that this was going to be the vehicle to help me feel better,” she said. At first, Dawn only changed her nutrition and did not incorporate exercise into her new routine. Eventually, she started exercising and her hard work yielded even greater results. She eventually lost over 100 pounds,* and after hitting that milestone, she did something she never in a million years thought she would do: She competed in a triathlon. Before competing, Dawn accomplished another milestone by learning to swim. Dawn is now an ambassador for a brand of fitness inspired clothing, whose clothing she previously could not fit into. 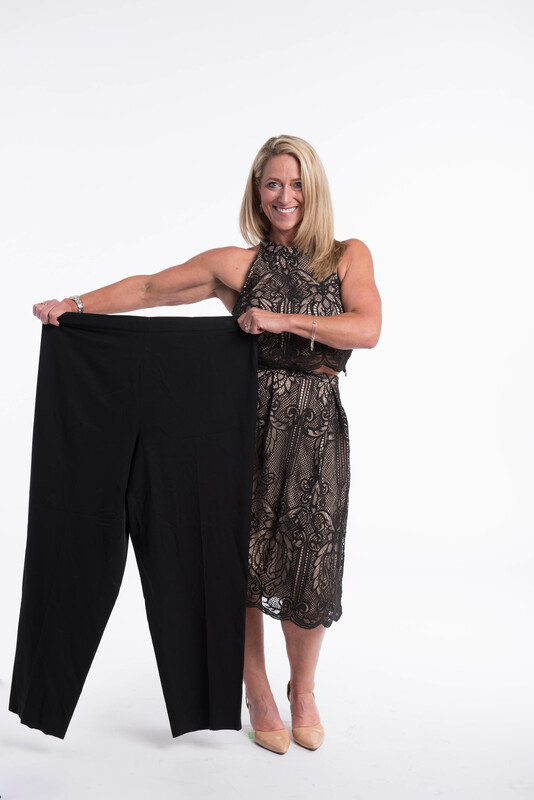 Even though Dawn has maintained her 100-pound weight loss for four years,* it wasn’t an easy feat. She spent a lot of time with her husband helping with their family restaurant, which served a carb-heavy Italian menu. To help Dawn stay on track, her husband, who is a chef at the restaurant, created a 600-calorie meal that would fit within the Isagenix System. When they added it to the menu, it was a big hit not only with Dawn but also with Customers looking for lighter fare. Dawn has become an inspiration to many and hopes to continue to inspire others to follow in her footsteps. For those who are hoping to release weight, Dawn suggests staying away from the scale and instead going by how your body feels. She also reminds people that it is a day-by-day process, and for her, it was an hour-by-hour process in the beginning. *Results not typical. Weight loss, muscle gain, lifestyle, and other results depicted here reflect exceptional individual experiences of Isagenix Customers and should not be construed as typical or average. Results vary with individual effort, body composition, eating patterns, time, exercise, and other factors, such as genetic and physiological makeup. In a two-phase study performed from 2015-2016 by Skidmore College in New York, researchers evaluated use of Isagenix products for weight loss. As part of the weight loss phase, the participants took part in a calorie-controlled regimen of Shake Days and one Cleanse Day per week and lost an average of 24 pounds after 12 weeks. During the weight maintenance phase, the subjects who continued the calorie-controlled program using Isagenix products better maintained their weight loss in comparison to those who transitioned to a traditional diet after 52 weeks. View the study results. **The ability to earn income under the Isagenix Compensation Plan depends on many factors including an individual Associate’s business, social, and sales skills; personal ambition and activity; availability of time and financial resources; and access to a large network of family, friends, and business contacts. Isagenix cannot and does not guarantee any particular level of earnings. Even Associates who dedicate a significant amount of time, effort, and personal funds may not achieve a meaningful level of success. For average earnings, refer to IsagenixEarnings.com.